Brianna was certified in the Upward Dog Yoga Teacher Training and Personal Development course in Ottawa, Ontario and received her 200 hour Hatha Teacher Training Certificate in May of 2015. She has been practicing yoga for 9 years now and has been a Certified Hatha Instructor for 3 of them. Brianna’s classes are filled with stretch, strength, and a moments of reflection with intention. What you will find in Rachael’s classes is an alignment with traditional Hatha yoga and our modern day enjoyments, beliefs, and struggles. Rachael is originally from Sudbury, moving to North Bay in the fall of 2016 to open her own business. Since then she has enjoyed building new relationships, getting involved in the yoga community and exploring the surrounding areas. Anne's journey began 23 years ago, and has been an enormous part of her personal journey and self healing. In 2012, Anne's love and interest for yoga led her to Santosha Yoga Centre, Ottawa, where she received her 200hr RYT in the Hatha tradition. For the last five years, Anne has had the honour and joy of sharing the therapeutic benefits of yoga throughout the community, local surrounding areas, local yoga studios, and in her home-based yoga studio Yogasense. 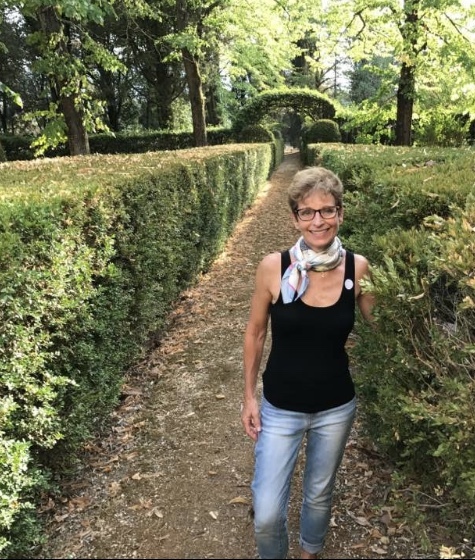 Anne's passion and goal is to empower her students to progress towards a greater state of health and wholeness, creating a deeper sense of mind-body connection and spiritual awareness. Looking forward to growing and flowing together and sharing the healing qualities of Yoga. As kids, three times a day we were allowed time away from our desks; a break - a pause from learning, doing, and responsibility - to just be. Three times a day, we were given a recess. Somewhere along the way, we stopped giving ourselves this opportunity for a reset, instead telling ourselves that our worth was wrapped up in our productivity and a break would come, one day. For the last six years, Debbie has worked with her students to remind them that their worth is measured in how they feel. Receiving her 200hr RYS Hatha Yoga Training in 2013 from Bend Yoga Studios here in North Bay, Debbie aims to offer her students a chance to feel more open and flexible while practising in a calm, judgement-free environment. Her hope is that her students leave her class feeling healthier, happier and a little lighter in spirit. Off the mat, she enjoys spending time with family and friends, travelling and working alongside her husband at Casselholme. Jessie offers a spiritual and sacred yoga practice. Teaching from the heart and her own experiences, Jessie’s classes offer the experience of inner connection and the cultivation of self-transformation. Her passion for spirit and growth creates a safe space to turn inwards in order to heal with love. Jessie’s passion for yoga as a method of healing creates the opportunity to find harmony in the mind, body, and spirit. Jessie began her yoga journey in 2014 and is now a certified CYA-RYT550. She teaches many different styles of yoga practices including Hatha, Yin, Flow, Meditation, Kundalini, and Kids classes. Also, her Master Reiki training brings a deep sense of healing into all of her classes. These practices often include a combination of intention, movement, meditation, breathing, and mantra. For Jessie, the learning never ends. With her own practice and experiences, inspiration is shared with the students who cross her path. Jessie grew up in the North Bay/Powassan area and spent most of her childhood riding horses and living next to nature. This is where she feels most at home. For most of her life she felt like no matter where she went she didn’t fit in. When she was 18 and went to university she had to give up riding, leaving her feeling more lost and alone than ever before. She found herself constantly trying to be something that she was not, just to try to fit in with the people around her. She did this because she didn’t know who she was, or why she was here. This is when she found yoga. It didn’t take much time after that for her to realize that, this whole time, she didn’t “fit in” for a reason. This reason is her purpose. Yoga has only been in her life for about 4 years, but it only took one class for it to become her entire life’s focus. Yoga has become her life in every way possible and it is her life’s mission to help others heal with love. Today Jessie shares these yogic practices with a sense of gratitude and purpose. Philippa comes to us with over 10 years experience instructing in the health and fitness field. With her recent employment working with the military she found that there was a gap in their training with regards to mental health, functional movement and flexibility training. Knowing the huge benefits of yoga training and the implications on mental health that mindful training can have on the members, Philippa pursued a yoga certification. She has now been happily teaching various styles of yoga classes for over 3 years now, with her personal yoga experience going back almost 8 years! Philippa teaches beginners and complex Hatha classes as well as Yin, Power, Nidra, and has dabbled in teaching astanga. With an open sense of humour and inherent humour and opennes with the human body, her classes are dynamic and enjoyable. Philippa is an Exericse Physiologist working with high performance athletes as well as individuals with ongoing chronic injuries. Philippa enjoys life to the fullest, finding herself the most content when exploring outdoors through hiking, biking, canoeing, kayaking, long runs with her pooches or just by reading a book in the sunlight. Kelsey's classes are an artful blend of knowledgeable alignment and intuitive movement. As a Registered Massage Therapist, she offers a strong understanding of the human body complemented by her kind and caring teaching style, thoughtful cues and dedicated personal practice. Those who practice with Kelsey can expect to feel more mobile, centered and deeply relaxed after each session. Nancy is an avid athlete who had to be dragged to her first yoga class in 2010. Her love of Yoga grew from that first class as she realized the physical and mental benefits of a regular practice. She took her Yoga teacher training at Bend Yoga studio in 2014 with Joanne Pettit-Myers and has taught a variety of beginner, hatha and yoga hybrid classes over the last 4 years including a popular learn to run/yoga workshop. Through Nancy's career as a Paramedic, she has witnessed first hand the effects of PTSD in colleagues, family and friends; causing her to seek out training in Trauma Informed Yoga which focuses on giving people a safe space to explore, reconnect and feel secure within their own bodies. In 2015, she expanded upon her training to become a certified Thai Massage Practitioner with Still Light Center in Toronto. If you're lucky she might incorporate some massage work into a class! Nancy continues to expand her knowledge of yoga through online learning, podcasts and workshops, always looking to bring something new and unique to her classes. Nancy strives to make yoga more accessible for all people, taking pride to tailoring her classes to all ability levels and what the individual client may need that day. She looks forward to making BReal Studio’s her new home. Interested in joining our team? Head on over to our Careers page!